We at Piano Movers HQ, know how important your piano, organ and any musical instrument is because we’re musicians ourselves. We started our company because we felt there weren’t highly professional piano movers who understood how to move a piano without causing damage to our piano. We’ve been moving pianos for many years and have many happy customers who will back up our work. We also listen to some Beethoven while we’re on the job to appreciate how amazing the piano can be. We work with only experience piano moving professionals who have moved numerous brands and know the little quirks and subtle differences that come with each piano. Their experience from moving all brands of pianos gives them the advantage to knowing what piece to remove to move your piano efficiently, quickly and without any damage. If you go with any moving company, they won’t have the experience nor the specialized expertise in how to move pianos and even have an extra fee for moving such a delicate instrument. Our specialty and expertise is moving pianos, thus they can move your piano for probably half the cost of other moving companies without all the hidden fees. Piano moving requires additional insurance and licensing. Our movers are properly insured and bonded in Los Angeles County and Orange County so you don’t have anything to worry about. Do you have a complicated piano move? Need to go up flights of stairs or setup on stage? Our movers have the experience to set it up all properly. Are you moving across LA? No matter what the situation, we can help. Our piano movers do not under staff and we do not hire day labor movers. They take pride on being on time and getting the job done safely and efficiently. Whatever brand piano you might own and need to move, they have the experience in Los Angeles & Orange county and confidence to providing you the safest piano move ever. Need to move your piano today? Our partners work hard to get your piano moved as soon as possible. Same day delivery is possible if they have availability at no extra charge. If you’re in need to schedule your piano move at a specific time, they also provide you with flexible scheduling so they can move your piano at your earliest convenience. 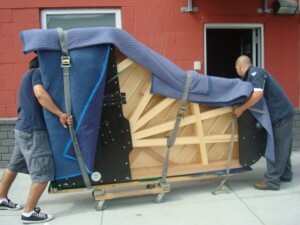 Affordable Piano Moving Costs – They provide you with an honest estimate of how much it would cost to move your piano. We know that many other moving companies tend to have fine print fees when it comes to moving delicate instruments or products such as pianos. As a professional piano moving company who specializes, they do not have any hidden fees for their services. They provide quality piano moving service without you needing to purchase any extra insurance or materials for the move. Want to Dispose Your Piano? Call For a Piano Disposal Quote! If you have an older piano that you just want to get rid of, we can definitely help you! Our rates are different for piano removal services as we will have to take it to the Los Angeles city dump, which requires us to pay a fee for larger items. If you don’t want to toss it out, another great option is to have it rebuilt or you can even donate it to a local school or charity. Read Our Piano Movers HQ Reviews From Satisfied Customers. If you want the best local piano moving service in Los Angeles, you won’t find anyone else who provide an amazing service for such an affordable cost. Call to get your free quote today. Put your mind at ease as they safely and gently move your piano so you won’t have to. We not only serve the Los Angeles Area but also move pianos in Orange County. 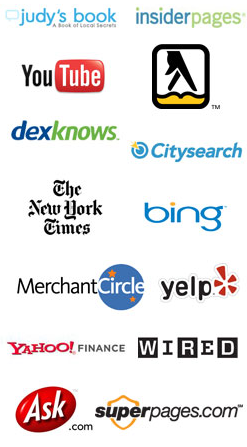 If you’re looking affordable and professional service, you have to go with the best!